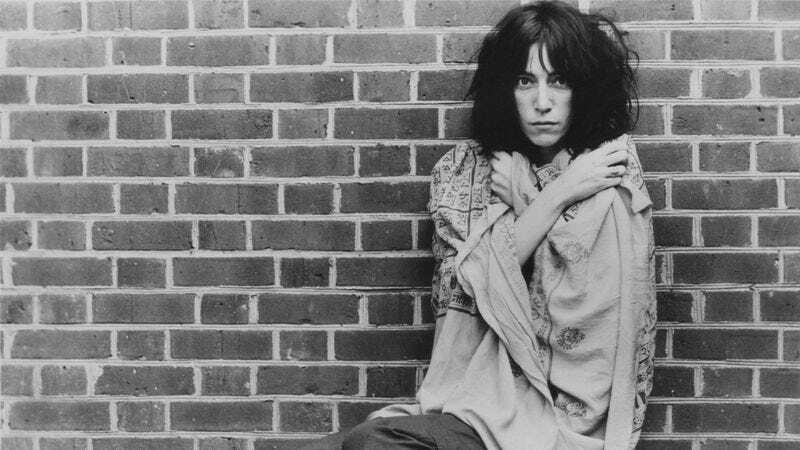 Prepare to hear ”Babelogue” recited in a thick Southie accent as Stereogum reports that tomorrow, Saturday, October 10, 2015, has been declared Patti Smith Day in the city of Boston. Sure, Smith was born in Chicago and raised in Philadelphia and New Jersey. And yes image is inextricably linked to New York City, where she was a part of the bohemian scene in the ’60s and the punk movement in the ’70s. But Boston mayor Marty Walsh is a fan, apparently, and has dedicated a day to Smith for “her artistic contribution, leading the way for women in rock.” It’s not as flamboyant as David Bowie Day, but it’ll do. Smith will appear in Boston for the festivities, and will be speaking about her new memoir M Train and signing books at the Back Bay Events Center tomorrow at 7PM ET.